Children have never had access to so much technology as in today's society. It is highly likely that children will have used a computer or a tablet by the time they are in primary school. Therefore, children will expect education to be taught using a medium that they have grown accustomed to. 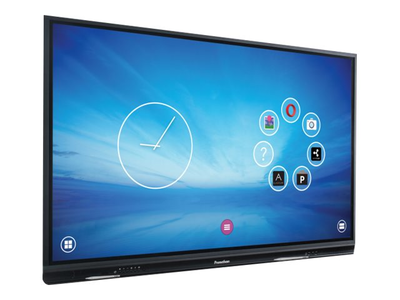 A newly fitted touchscreen television may be intimidating at first for teachers but they do have the same features as a whiteboard and more. Thanks to inbuilt apps specifically designed for education, lessons can be taught in a variety of ways. Presentation slides are still important but the touchscreen TV allows children to actively contribute to their lesson by writing or editing work for other children to see and learn from each other. The touchscreen televisions can also connect to the Internet which allows them to be fully functional without the need to be connected to a computer. Online videos and images are crisp and clear on the Ultra 4K and Full HD displays. Screen sizes: 55", 65", 70", 75", 86"
Screen sizes (6000 Series): 65", 75"